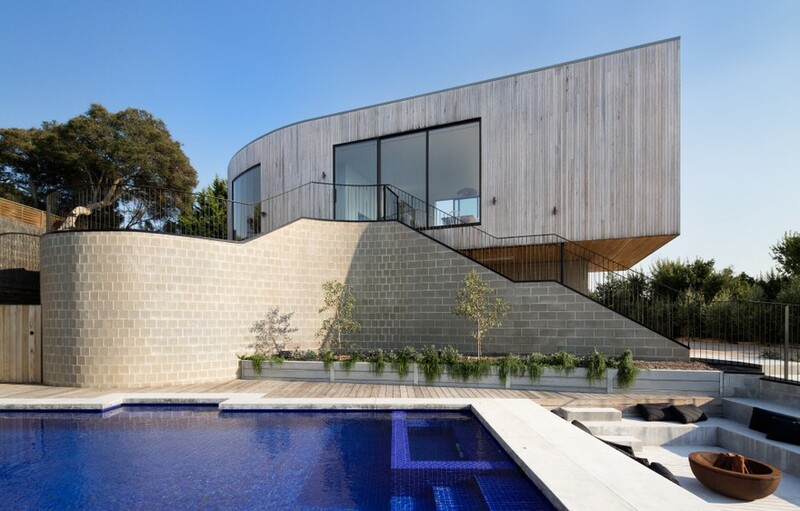 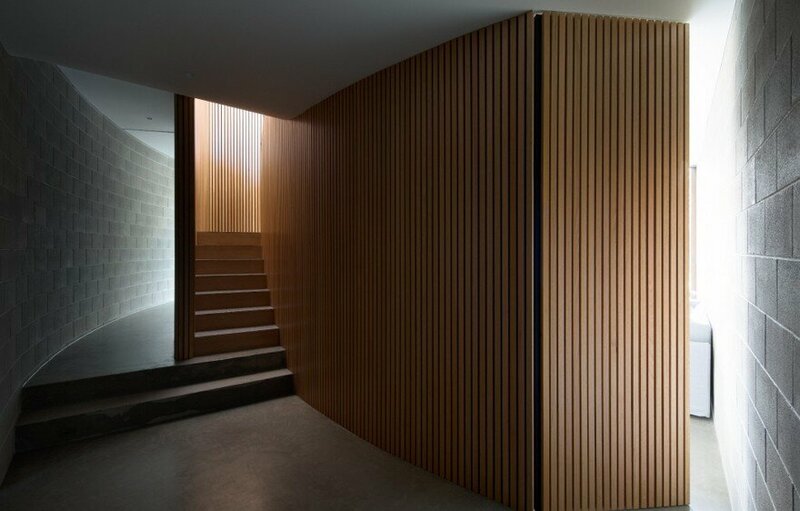 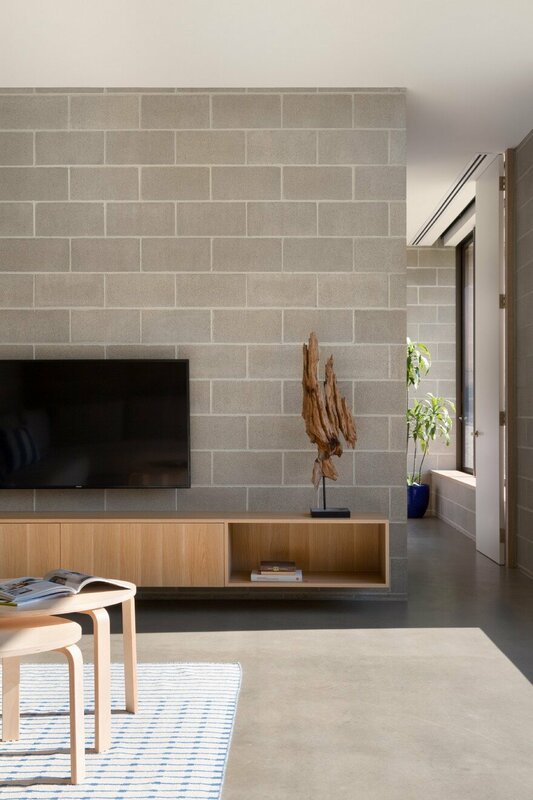 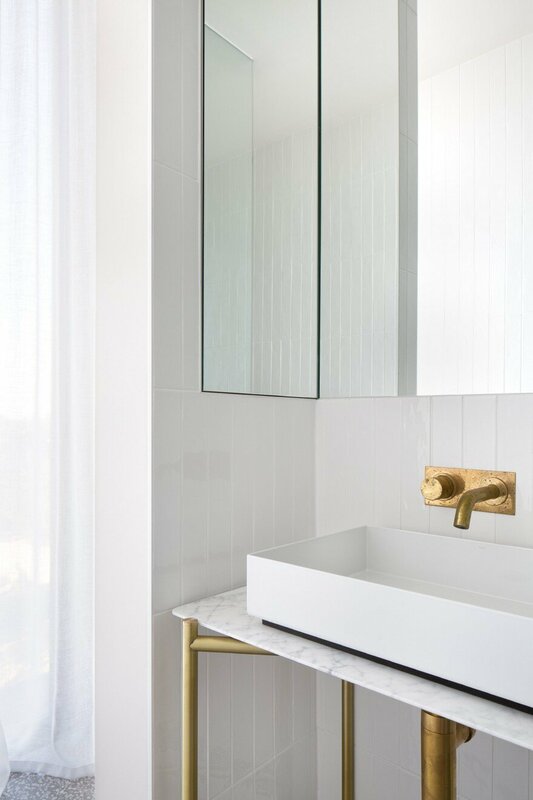 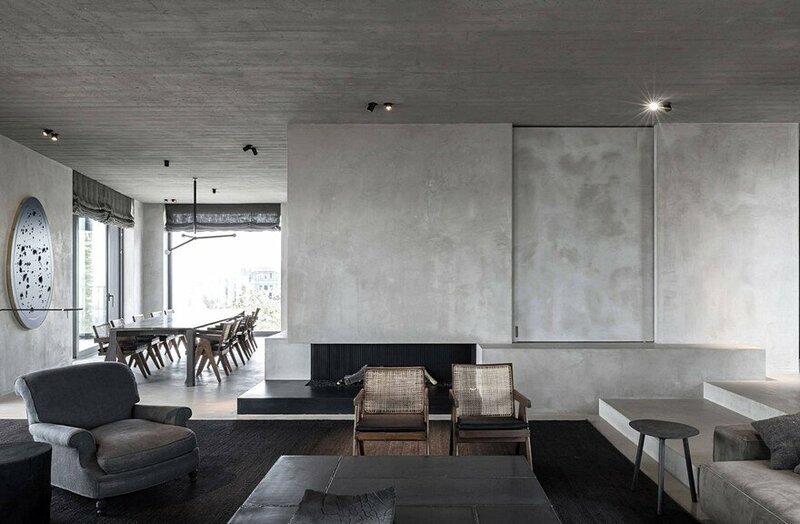 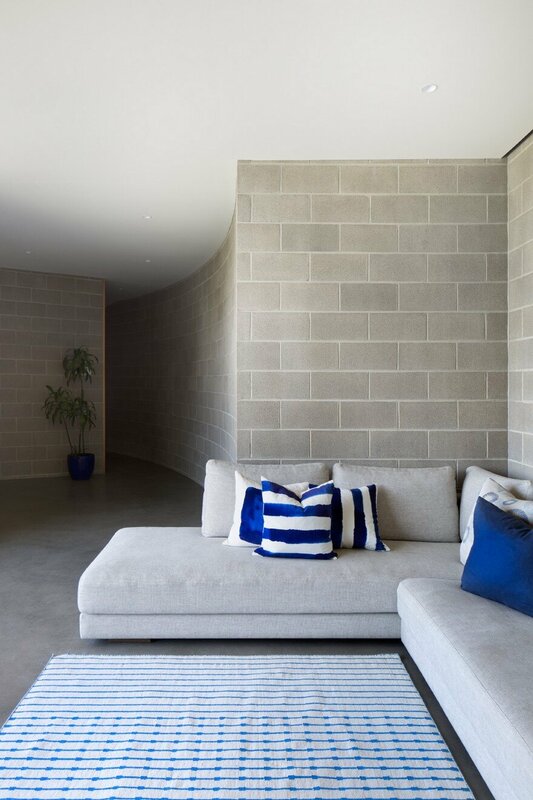 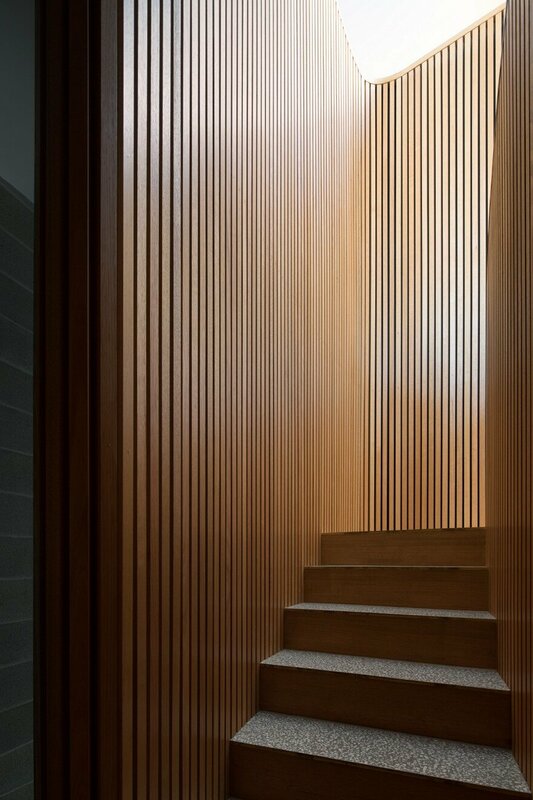 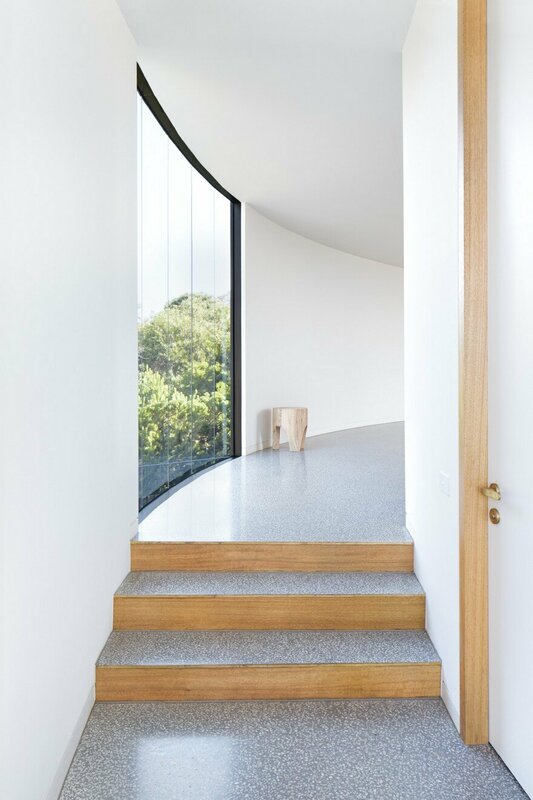 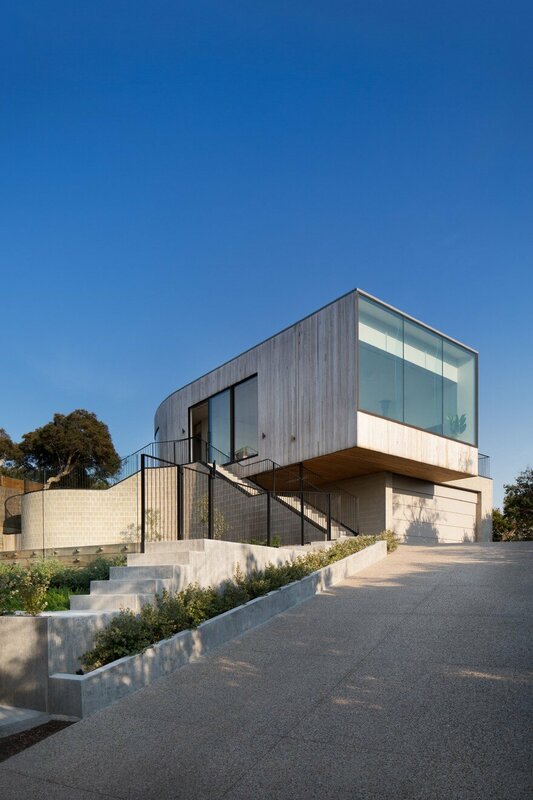 Description by architect: Taking inspiration from the iconic Mornington bathing boxes, Parkside Beach House features concrete, timber and brick throughout the building. 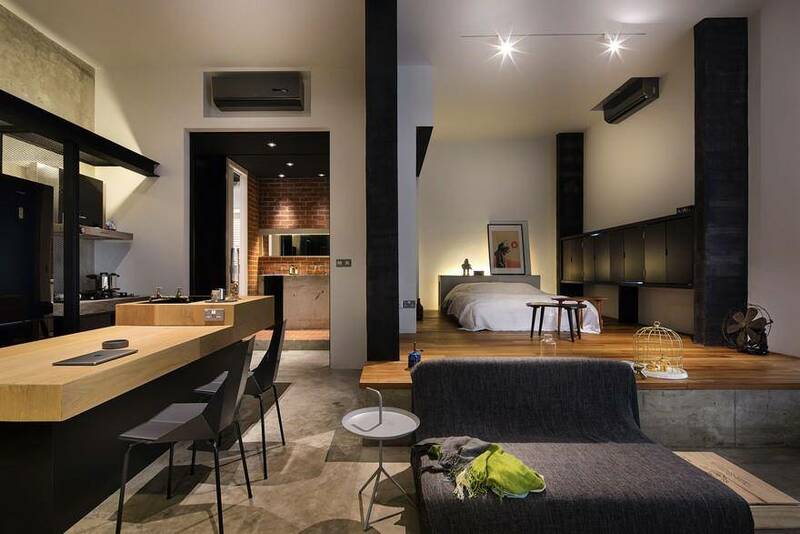 The property is ideal for multi-family use and balances open and spacious communal areas with the privacy of secluded retreats. 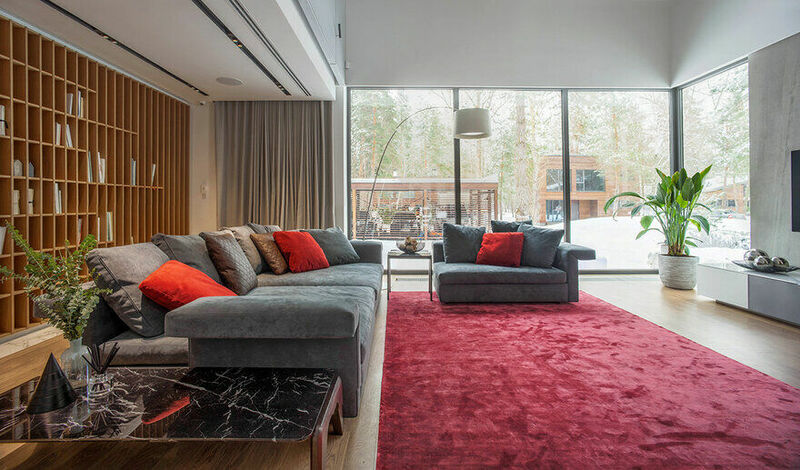 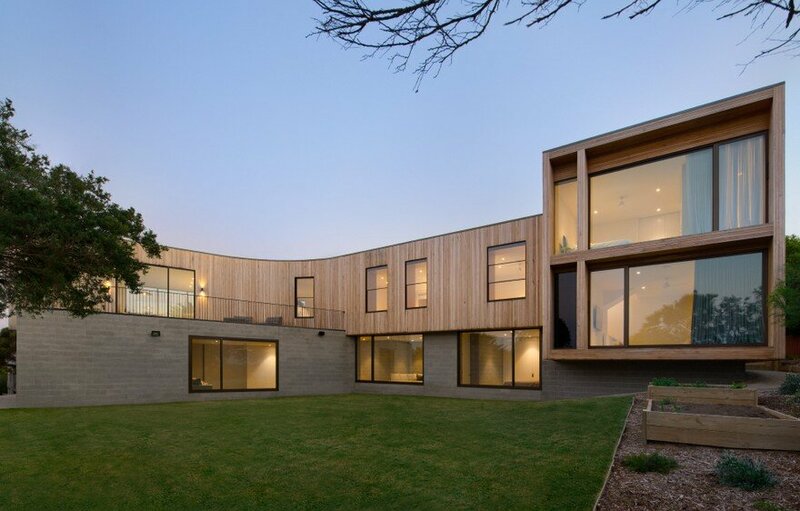 This holiday home is designed to accommodate multiple families and guests simultaneously, creating the need for both insulated, private spheres as well as functional and welcoming communal areas. 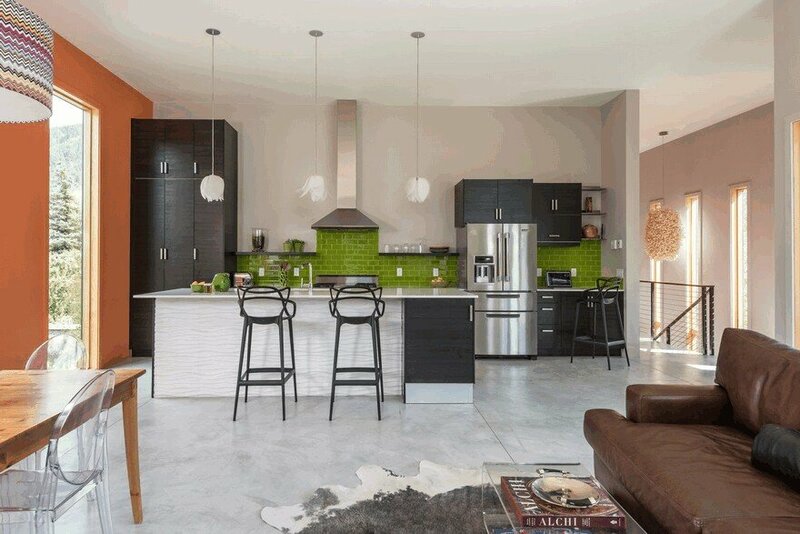 With apartment-like spaces, private entry points and a kitchenette independent of the main living/kitchen area, Parkside fits this brief perfectly. 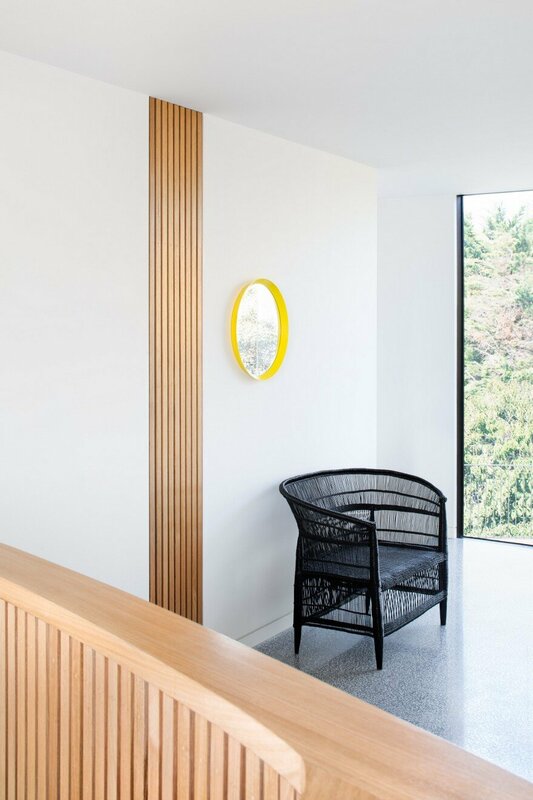 WIth the dramatic juxtaposition of the timber batten cladding and block work of the carport area, the exterior of the property is a playful take on the classic Mornington bathing box form. 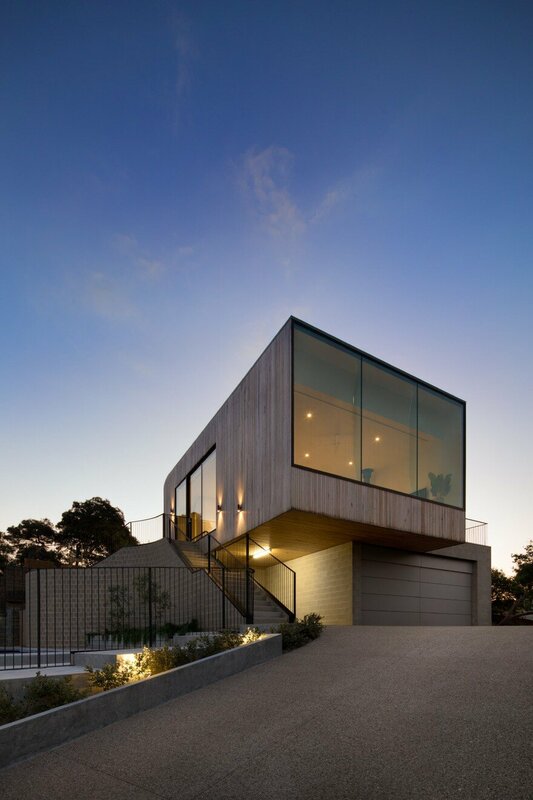 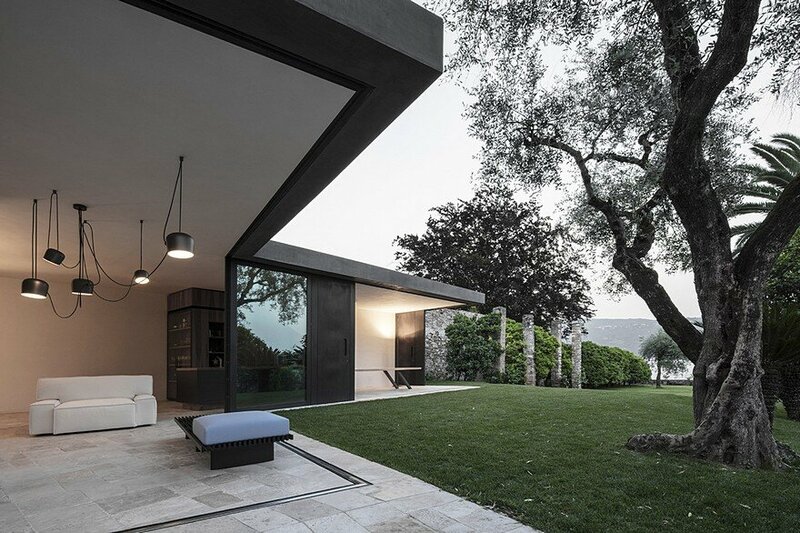 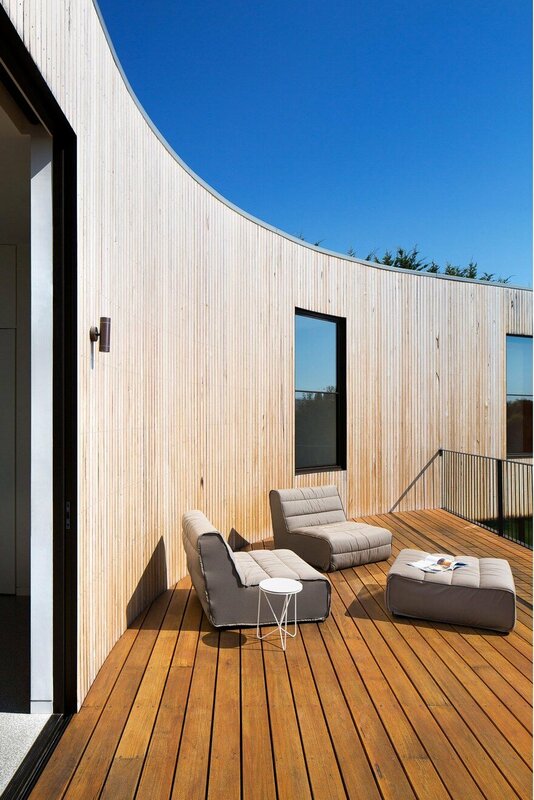 The open nature of the structure is enhanced by the expansive windows framing the main living space. 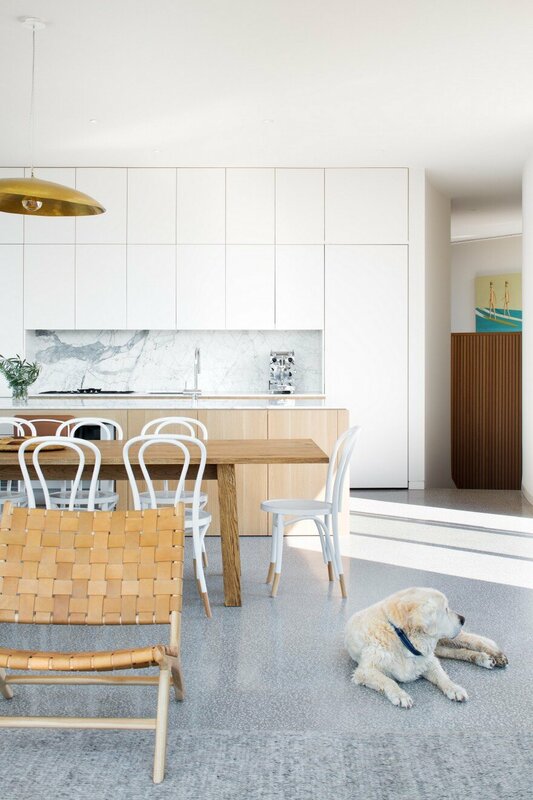 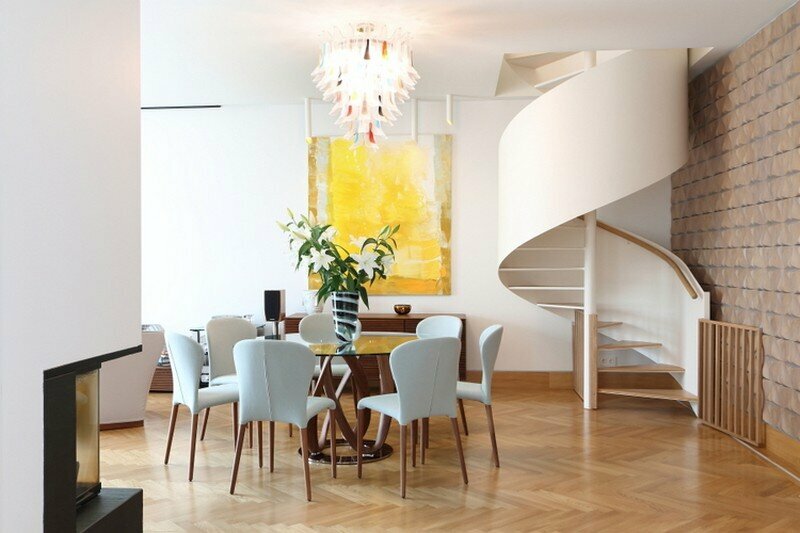 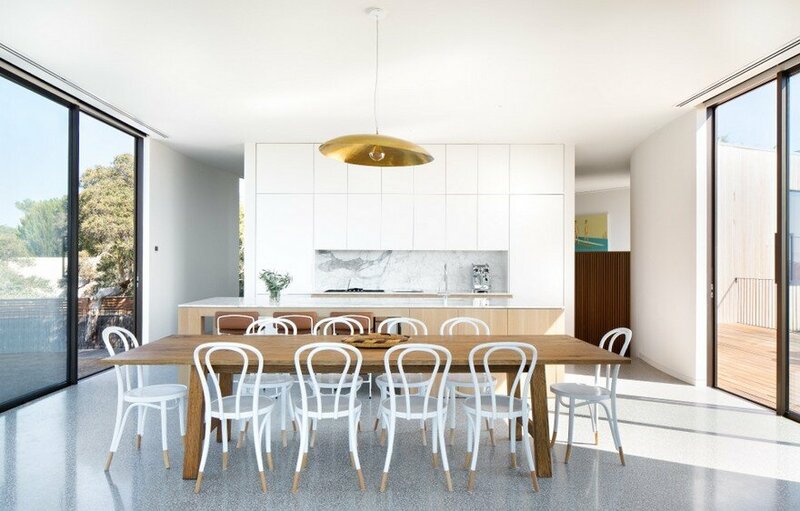 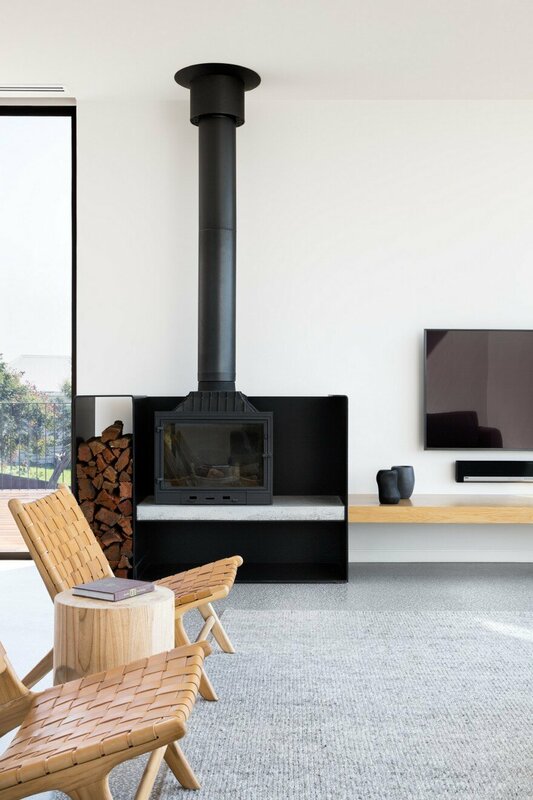 Parkside is a contemporary take on the classic beach house, offering the luxuries of crisp detailing and curated interiors, as well as meeting the practical needs of functional and versatile spaces.